IBM Watson Machine Learning is an IBM Cloud service that’s available through IBM Watson Studio. Machine learning is everywhere – influencing nearly everything we do. You’ve likely heard that Uber is world’s largest taxi company, yet owns no vehicles. Facebook, the world’s most popular media owner, creates no content. Alibaba, the most valuable retailer, has no inventory. And Airbnb, the world’s largest accommodation provider, owns no real estate. But what you haven’t explicitly heard is that all of these companies are machine learning companies at their very core. Companies like Netflix use machine learning to recommend movies for us to watch. Navigation apps like Waze use machine learning to help optimize our driving experience. Learn how you can transform data into intelligence using IBM Watson Machine Learning. This video shows how to leverage AI recommendation models (Watson Machine Learning and Visual Recognition) with IBM Case Manager to check the validity of insurance claims. 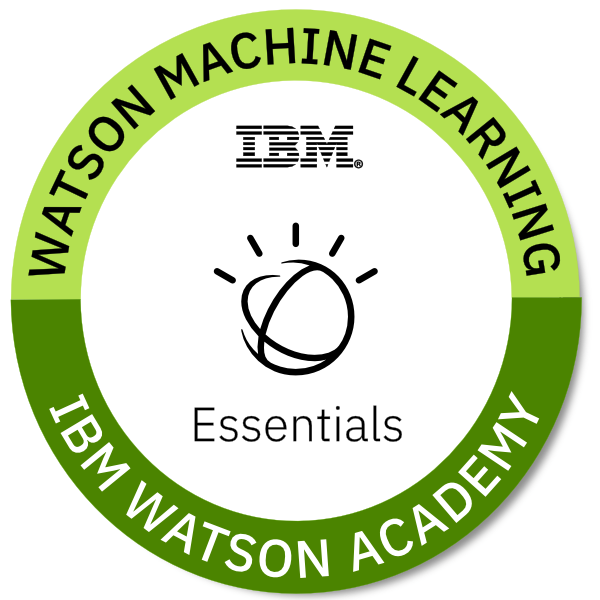 If you’re using Watson Machine Learning, consider earning the Watson Machine Learning Essentials IBM Open Badge to share verified proof of your achievement. Additional badges are available for Watson Knowledge Catalog, Watson Studio Essentials, Visual Recognition, Streams Flows, Dashboards, and Data Refinery. Find articles, notebooks, data sets, and more in the IBM Watson Community.